The Barcalounger 6-Piece Woven Theater Seating Set is probably the ultimate in patio/backyard furniture. I like wicker because it gives the furniture an old traditional design reminiscent of some tropical getaway. 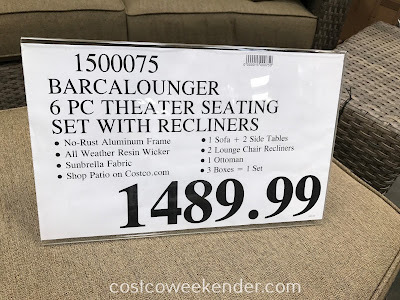 But the resin material gives the Barcalounger 6-Piece Woven Theater Seating Set the ability to withstand the elements. 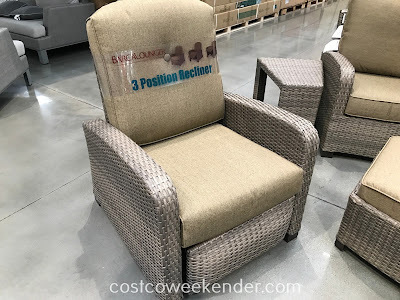 We have patio furniture also made of the resin wicker and I must stay that this material is great for outdoor furniture. 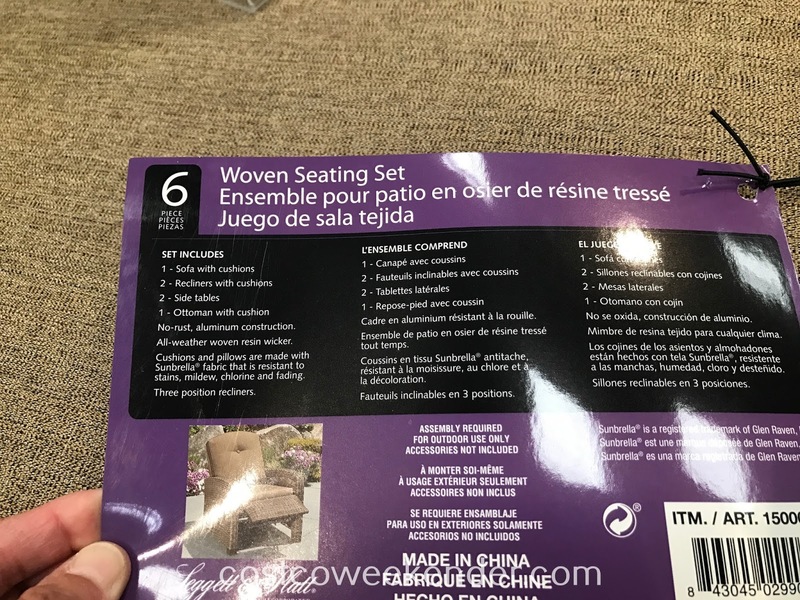 Dust and grime doesn't stick as easiy on the resin wicker as compared to something like a wrought iron material. 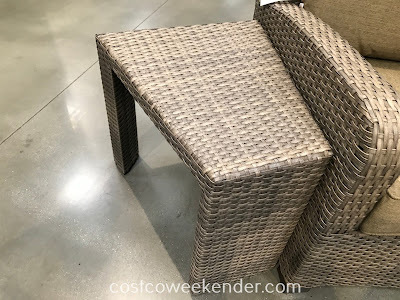 You can leave your resin wicker furniture outside without worrying too much about it getting too dirty. 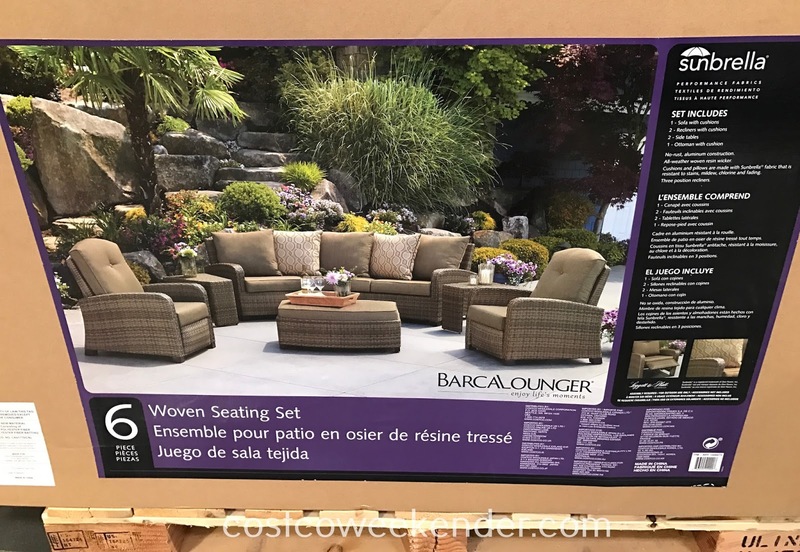 The Barcalounger 6-Piece Woven Theater Seating Set comes complete with a sofa and 2 chairs which recline too! 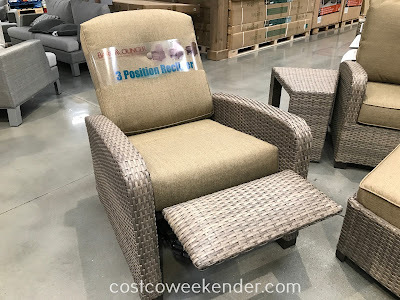 I don't see outdoor recliners very often. The 2 side tables are also angled in shape so it give them a very distinct look. And of course don't forget to put your feet up on the included ottoman. 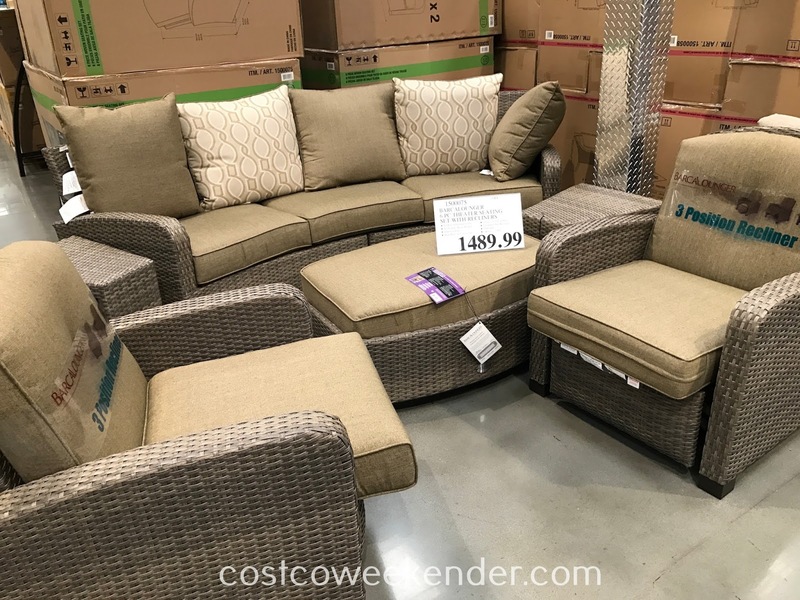 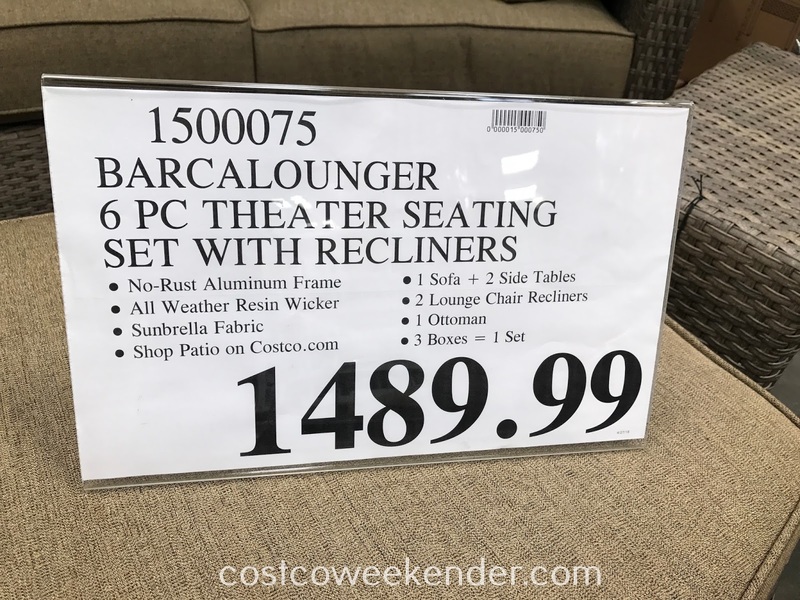 So for your next outdoor get-together, consider the Barcalounger 6-Piece Woven Theater Seating Set from Costco.